A review of the HDI-Gerling America Health Insurance Company finds HDI-Gerling America Insurance Company, a division of HDI-Gerling Insurance. The parent company, HDI-Gerling, is an insurance brand of the Talanx Group. HDI-Gerling is a property and casualty insurance provider based in Germany. Whatever your health insurance needs, we can help get you started. Please type your zip code into the free toolbox above and we’ll be more than happy to provide health insurance quotes from providers in your area. While HDI-Gerling sells many different types of insurance all across the globe, its health insurance products are offered in Japan and India, but not in the U.S. Instead, this review will focus on Health Delivery, Inc., a provider of healthcare services in Michigan. Health Delivery, Inc. has its roots in a $75,000 grant given to the County Health Department in Saginaw, Michigan in 1969. The grant was to be used provide health care to farm workers, and a young Hispanic nurse named David Gamez volunteered to administer the program. This migrant health program grew into Health Delivery, Inc., an organization with seven year-round medical centers, two dental centers, two dental mobile units, and seasonal migrant clinics. HDI helps more than 45,000 patients across 14 Michigan counties. In addition, every facility it operates has bilingual staff on hand to ensure proper communication with patients. HDI works with other public and private health agencies in the area. The organization is accredited by the Joint Commission on Accreditation of Health Organizations. It also receives some of its funding from the Department of Health and Human Services. As mentioned above, HDI provides a myriad of different health services that members of the underserved community don’t always have access to. The organization strives to make sure that everybody has access to quality health care. HDI’s two mobile dental units travel to area schools as part of its “Smiles Are Everywhere” program, providing dental care to students. Services at their stationary dental centers include preventive care like fluoride treatments and x-rays, to more complicated, and usually costly, root canals and extractions. HDI’s Janes Street Health Center offer mammographies to those ages 40 and over, or to younger women with a family history of certain types of cancers. The organization gives these mammograms at no cost to those who qualify. More services offered by HDI include x-rays that are taken and processed in their health centers. All diagnostics are done and read by licensed and registered Michigan radiologists. By having these services in-house, the organization is able to get results much quicker and treat the problem much sooner. While the Health Delivery, Inc. website does have a “Job Postings” tab, there are currently no open positions listed. Some of HDI’s health centers are approved sites for medical residencies through the National Health Services Corp. Clinicians who sign up with the National Health Service Corp agree to serve at least a five-year term in an underserved community. In return, the doctor or other medical practitioner will receive up to $170,000 in loan repayment and scholarships. HDI accepts these NHSC applicants in approved disciplines. 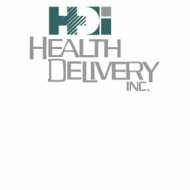 Health Delivery, Inc. can only help you with your healthcare needs if you live in their specific area of Michigan. If you don’t, we can help you by finding the best health insurance rates for your area. All we need you to do is type your zip code into the box below!